ACORD (Certificate of Insurance) Forms For Insurance Agents | Royal Oak Underwriters Inc.
Save insurance agents significant workload and time. Provide our agent partners an invaluable business tool with unique ACORD Forms Management capabilities. If you already have a User ID and Password for Royal Oak Acord, please click the Royal Oak Acord | User Login link in sidebar menu. If you don’t, the agent user registration process is simple. If you already have a ROVER 2.0 Agency ID, then go to step 2; if not begin with Step 1. 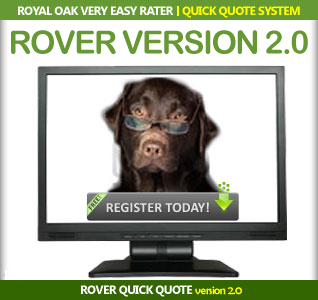 You and your agency will need to be registered users of the ROVER 2.0 Quick Quote rating system. Find your insurance agency’s ROVER 2.0 Agency ID. If your agency needs to obtain a ROVER 2.0 Agency ID simply contact ROVER Administrator Bev Gravatt at bevg@royaloakunderwriters.com. She will then walk you through Step 2 to register for the Royal Oak Acord system. Contact Royal Oak Acotd Administrator Bev Gravatt at bevg@royaloakunderwriters.com to complete your agency’s Royal Oak Acord registration process. She will forward you a USER ID and password for your agency’s use. Login to your Royal Oak Acord System account.